Deep Cool has released a new CPU cooler for the PC Hardware market that comes with new design changes and improvements to its heat pipe design for faster heat dispersion. The new cooler known as the ‘Ice Blade Pro V2’ variant comes with four 8mm heat pipes that protrude through its heatsinks all over. The cooler itself comes with fans of dimensions 161x125x95mm (H x W x D) with an the overall thickness of 9mm leaving much room for memory installation. 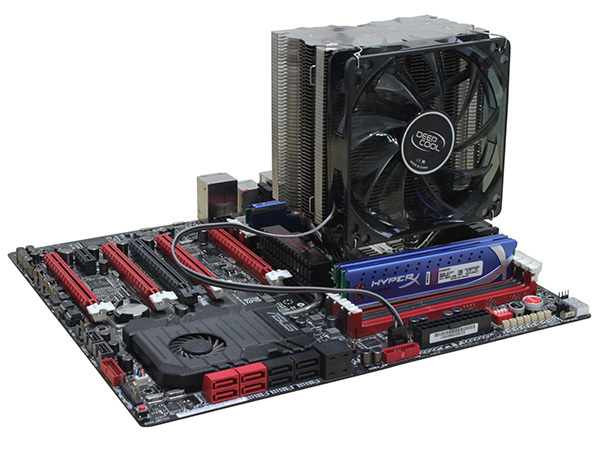 The cooler itself supports Intel sockets of LGA2011, LGA1366, LGA1155, LGA1156, LGA775 and AMD FM1, AM3 +, AM3, AM2 + and AM2 platforms. Other than that, the cooler comes with CTT Heat pip direct touch technology.